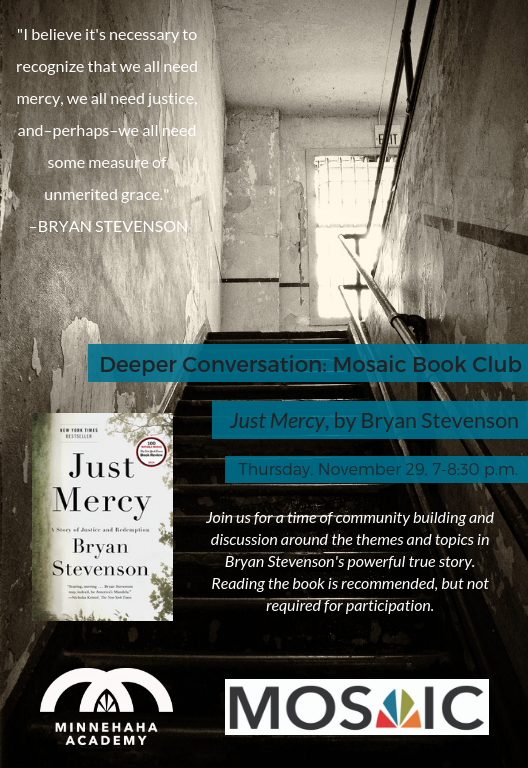 Join us in conversation about the book Just Mercy by Bryan Stevenson. The book club is hosted by Mosaic and is designed to encourage critical thinking and dialogue on issues of heritage, culture and race. This vision is grounded in a strong commitment to cultural competency. We are action-oriented based on our call to love God and love our neighbors as ourselves.